American singer, songwriter, and musician, Josh Groban remains one of the finest of his generation. He is that kind of singer that does not focus on just one genre or style but loves mixing things up together. With an impressive voice that stands somewhere between tenor and baritone, Groban has continued to penetrate and steal the souls of music lovers across the world. Just within a few years of hitting the music scene, he has earned significant popularity, with most of his productions selling in millions and earning various certifications. He has so far sold over 20 million records in less than a decade! In addition to his music career, Groban is also an actor. In fact, acting was his first passion before music but somehow he ended up giving the latter the upper hand. Groban was born Joshua Winslow Groban on the 27th of February, 1981 in Los Angeles, California. His parents are Lindy and Jack Groban, a school teacher and businessman respectively. He is of mixed ethnicity as his father is Polish-Ukrainian while his mother is of English, German, and Norwegian descent. He has a younger brother named Chris Groban who was born on his fourth birthday. Josh Groban initially wanted to pursue a career in acting. He majored in Theater at the Los Angeles County High School for the Arts, graduating in 1999. But on discovering his vocal talents, he started taking music lessons while still in high school, using the summer holidays to major in Music Theater at the Interlochen Center for the Arts Camp in Michigan. Groban then proceeded to study Musical Theater at Carnegie Mellon University but, however, dropped out four months into his education to take up a music recording offer at Warner Bros. through music producer David Foster’s label, 143 Records. Stages (2015), and most recently, Bridges (2018). So far in his career, Josh Groban has performed alongside legendary singers such as Celine Dion, Elton John, Lionel Richie, Andrea Bocelli, and Stevie Wonder. He has also done numerous covers, with “You Raise Me Up” being the most popular among them. In addition to music, Groban has starred in numerous movies and television films. Some of them include Ally McBeal (2001), Crazy, Stupid, Love (2011), It’s Always Sunny in Philadelphia (2013), Happyland (2014), American Dad! (2005, 2014), Comedy Bang! Bang! (2014-2015), Parks and Recreation (2015), The Hollars (2016), and The Good Cop (2018). He has also hosted, co-hosted as well as starred in numerous television shows including Live with Regis and Kelly, The Oprah Winfrey Show, Jimmy Kimmel Live!, The Rosie O’Donnell Show, Tim & Eric Awesome Show, Rising Star, Great Job!, The Tonight Show with Jay Leno, Today, and Larry King Live among others. Is He Dating a Girlfriend or Married to a Wife? Josh Graban is not yet married. But he has had the pleasure of dating quite a good number of women, most of who are celebrities like himself. He is currently dating Schuyler Helford, an American actress, writer, and producer. She is the daughter of successful TV producer, Bruce Helford. You may not have known that Helford worked on popular television series such as The Drew Carey Show, Family Ties, Roseanne and Anger Management. 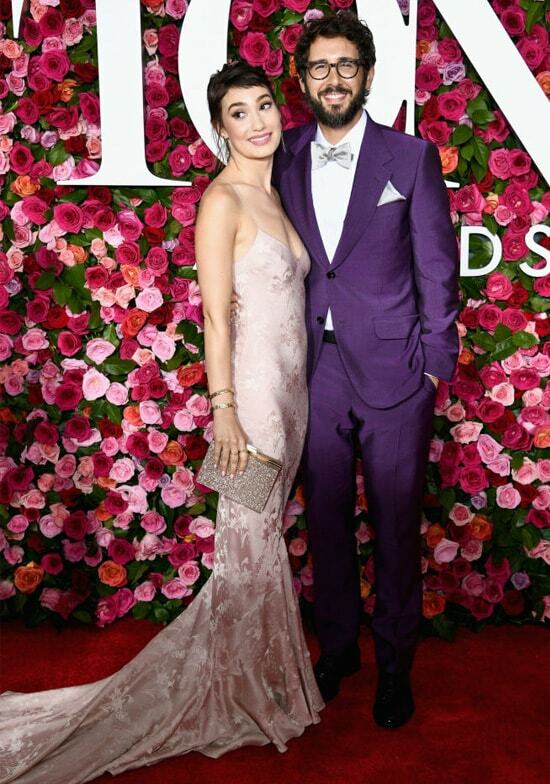 Groban and Helford made their first public appearance as a couple at the 72nd Tony Awards in June 2018 which Josh co-hosted. They have since been spotted together attending other events side by side, as fans hope that the pair will become an item very soon. Josh Groban is estimated to have a net worth of about $30 million. His major sources of income are his music career and what he takes home from his acting. With the rate Groban’s career seems to be on the rise, his net worth is sure to soar in the coming years unless he takes a break or something unthinkable happens.